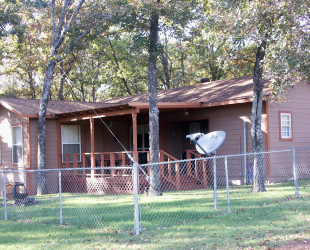 Lake Fork Resources takes pride in Woodland Cottage, an attractive two bedroom, two bath rental with a comfortable covered deck, fenced yard (great for small children), private covered parking, and a beautiful tree covered park-like property. 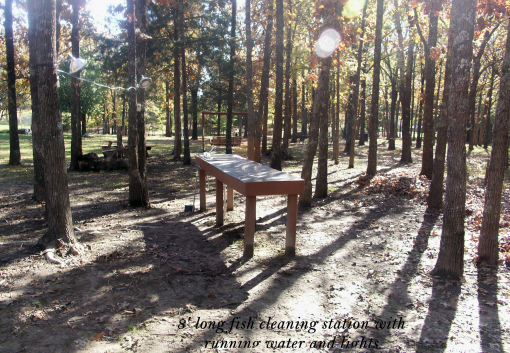 On the property are picnic areas with swings and fire pits, a well-equipped fish cleaning station, and a covered boat dock provided for the exclusive use of vacationer/fishermen staying at Woodland Cottage and Corry's Guest House. 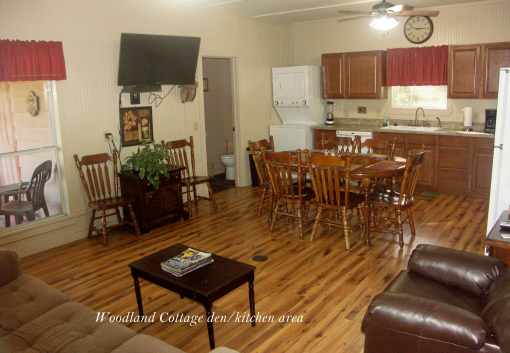 For a thorough slideshow presentation and comprehensive property description of the property and amenities, go to www.lakeforkresources.com and click on Woodland Cottage. 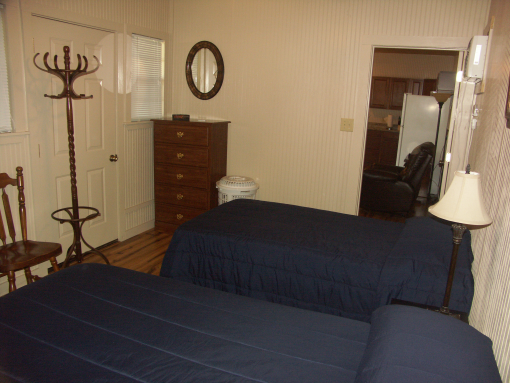 The cottage is a comfortable and two bedroom two bathroom rental. 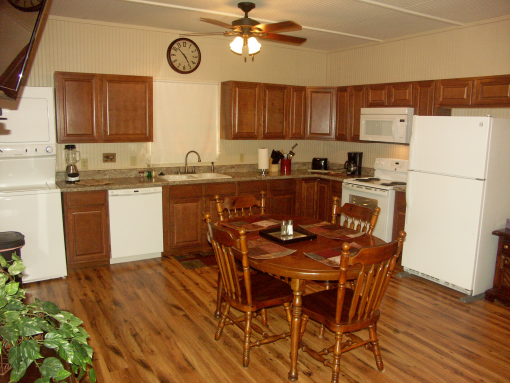 We also have a fully equipped kitchen with a dishwasher where you can prepare your meals for the day. 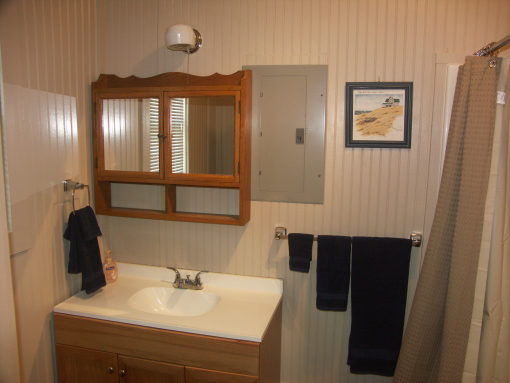 Since you'll be staying for a few days or weeks, the cottage is equipped with a washing machine and dryer. 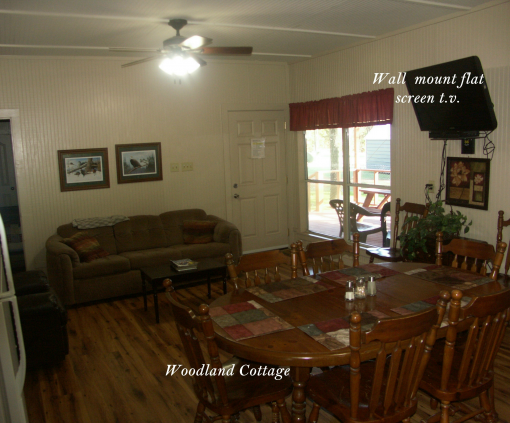 We also have a wall-mounted large screen TV where you can watch all of DirectTV faire. 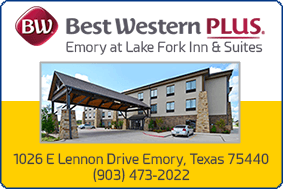 Discover the beauty of nature by exploring the areas surrounding the property. 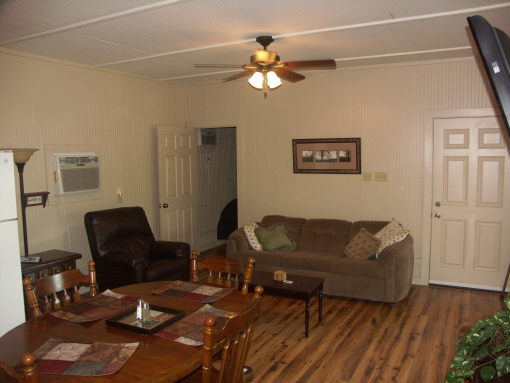 If you want to prepare food for the family, the cottage is equipped with a full kitchen and has a large covered deck complete with a grill and table. 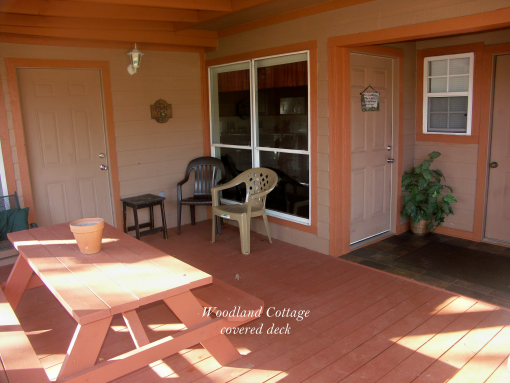 The cottage yard is fenced to protect your children and your/our small pets. 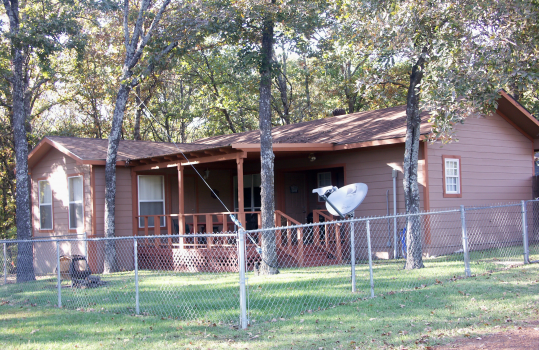 The lot also has many trees shading the cottage, maintaining the area's cool temperature. You may visit the dock as you please. 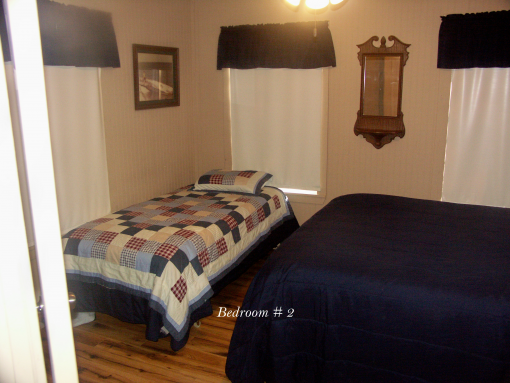 $100 per night and up, depending on season and occupancy. 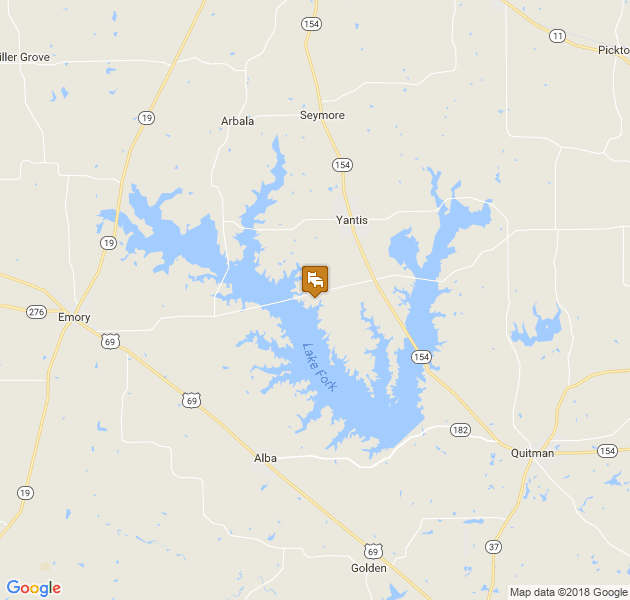 Visit http://www.lakeforkresources.com for a complete rate schedule.